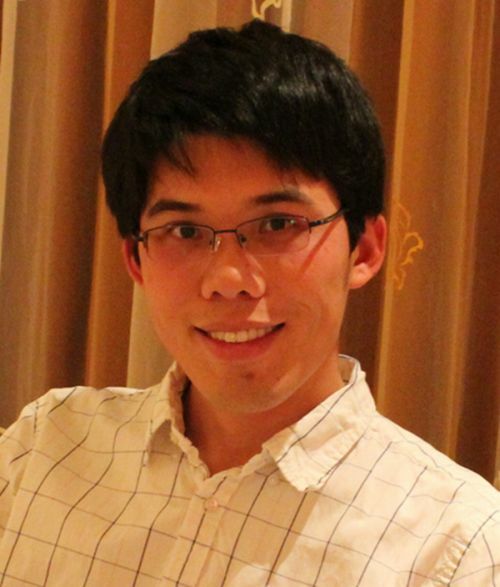 It gives me immense pleasure to introduce today Wei Gao, research scientist at University of California, Berkeley and Lawrence Berkeley National Laboratory. His research areas include nanomaterials, flexible electronics, micro/nanomachines, nanorobotics, biosensors, electrochemistry, nanomedicine and MEMS. He has coauthored numerous scientific journals like “Reversible Swarming and Separation of Self-propelled Chemically-Powered Nanomotors under Acoustic Fields” , “Artificial Micromotors in the Mouse’s Stomach: A Step Towards In Vivo Use of Synthetic Motors” , “Water-Driven Micromotors for Rapid Photocatalytic Degradation of Biological and Chemical Warfare Agents”, “Self-propelled activated-carbon Janus micromotors for efficient water purification”, “Ultrasound-Modulated Bubble Propulsion of Chemically-Powered Microengines”, “Fully-Loaded Micromotors for Combinatorial Delivery and Autonomous Release of Cargoes”, “Catalytic Iridium-based Janus Micromotors Powered by Ultralow Levels of Chemical Fuels” to name a few. TechieTonics: Would you please tell us more about your background? And What brought you into the field of scientific research? Wei Gao: I grew up in Jiangsu Province, east part of China. After graduating from Huazhong University of Science & Technology, I spent two years at Tsinghua University in Beijing for master degree in Mechanical Engineering. In September 2009, I startedmy scientific research career at University of California, San Diego. In the past 5-6 years, I was focusing on developing synthetic micro/nanomachines for a wide range of practical applications such as drug delivery, bioisolation, nanosurgery and environmental monitoring and remediation. When I was a child, the movie ‘fantastic voyage’ deeply impressed me, portraying a tiny submarine navigating through the human bloodstream and treating life-threatening medical conditions. 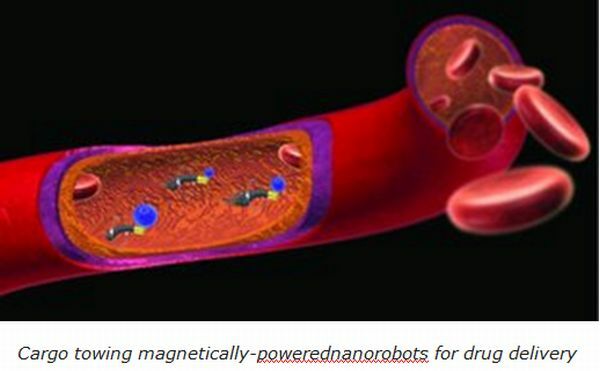 I was always dreaming that one day the man-made nanorobots could travel through he human body and deliver therapeutic and diagnostic agents to previously inaccessible areas of the body. I was very lucky to meet my PhD advisor professor Joseph Wang, one of major pioneers in this exciting field. I received my PhD degree in summer 2014. Currently I am a research scientist at University of California, Berkeley and Lawrence Berkeley National Laboratory. TechieTonics: What is your take on Eric Drexler’s “grey goo concept” that he put forth in his famous book ‘Engines of Creation: The Coming Era of Nanotechnology’ (1986)? Wei Gao: Well, “Grey Goo” is hypothetical scenario in which out-of-control self-replicating robots consume all matter while building more of themselves. In fact, grey goo replication is a self-limiting process which need consume their organic materials to obtain power. The current technology is far away from fabricating such complicated machines at molecular scale. Thus such machine is not very likely to be produced. Grey goo now is more of a public issue than a scientific problem. TechieTonics: Considering the fact, that nanotechnology is in its formative stage, what other technology fields according to you are experiencing exponential growth? Is it aerospace, robotics, biotech, automotive industries or any other? Wei Gao: In my opinion, wearable technology is experiencing exponential growth in recent years. It is the field which is changing everybody’s life. Wearable devices could real time monitor our health conditions ranging from fitness level to cancer diagnoses. We could expect that is the coming years, more and more wearable applications and devices will be developed by scientists and engineers. TechieTonics: What will be the next big thing in nanotechnology? 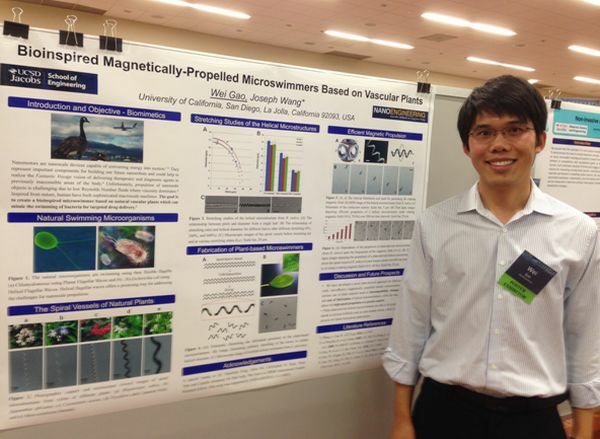 Wei Gao: Nanorobotics. In recent years, tremendous progresses have been made in the field of nanorobotics. Science is starting to catch up to the fiction of Hollywood. 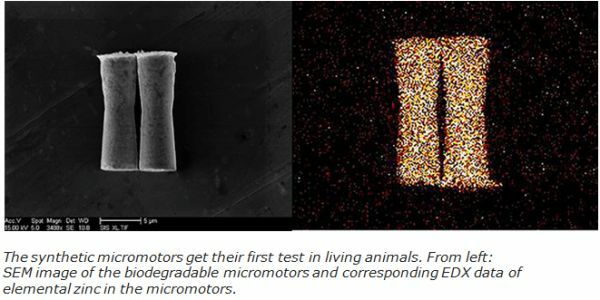 Such nanobots can be powered by different mechanisms and have displayed great potential for a variety of biomedical applications such as drug delivery and nanosurgery. In my recent work (ACS Nano, 2015, 9, 117), such synthetic nanomotors are able to travel inside the living animals for the first time and deliver drug payloads in a much more effective way compared the conventional strategies. TechieTonics: Since we all know that identifying colors is a part of our cognitive system, so is it possible to develop a biosensor that helps in recognizing color to a blind person? Wei Gao: Certainly there are possibilities to use the sensors to help recognizing color to a blind person. But the sensors most probably are not biosensors. For example,we can use the photonic sensors to distinguish different colors and transform the signal into the image with different contrast. The results can be transmitted into the smart phone which can tell the blind person the correct color. TechieTonics: Can cure of cancer be expected soon with a higher efficiency of detecting cancer cells or clumps of cells by nanobots or the microbots? Wei Gao: Sure. One of the most important missions for the nanobots or microbots is cancer diagnosis. In fact, we have already demonstrated the concept of usingnanobots or microbots for cancer cells detection and isolation (ACS Nano, 2012, 6, 5745; Angew. Chem. Int. Ed. 2011, 50, 4161).The strategy is based on the selective binding and transport ability of antibody-functionalized microengine rockets: these microrockets selectively recognize the surface antigens overexpressed by pancreatic cancer cells, and capture and transport the cancer cells over a preselected path. 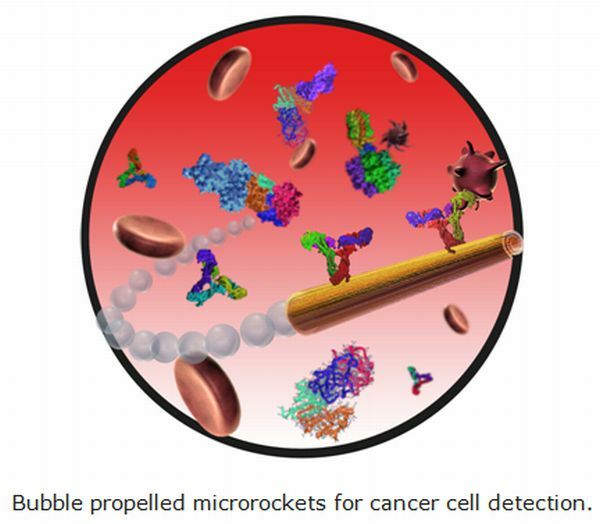 In the near future, the microbots can serve as an ideal platform for cancer diagnoses. TechieTonics: Biotech implants might give humans superior vision or mental abilities – is it a fantasy statement if not, what according to you are the chances of it being concretized in the near future? Wei Gao: Although it sounds like a Science Fiction movie, I think it could be very possible in the future that we can achieve truly immersive virtual reality, where we can feel the virtual world around us. The bioimplants can help us realize this. In the near future,the implanted brain-machine could not only control a virtual hand, but also get feedback that tricks their brains into “feeling” the virtual objects.Such proof of concept has been reported by neuroscientists in the recent years. Wei Gao: Yes. Firstly, biomimicry could offer good design which can help us solve enormous challenging problems. From example, scientist developed bioinspired helical nanoswimmers which can mimic the flagella propulsion of bacteria, overcoming the propulsion limitation at nanoscale where the viscous forces dominates and the swimming strategies at macrosale are not applicable. I also had a project on this topic which was published inNano Lett., 2014, 14, 305–310. Secondly, biommicry may also provide smarter simulated intelligence. There are numerous aspects of artificial intelligence that have been inspired by biology including augmented reality, autonomous systems, computational intelligence, fuzzy logic, etc. For example, the scientists have made progresses on using supercomputer to simulate a mouse’s brain, representing a big leap from computation to thinking using biomimicry. Wei Gao: Life is like riding a bicycle. To keep your balance you must keep moving. TT: What is your latest obsession? WG: Gourmet. I like cooking at home and looking for good food outside as well. TT: Who (or what) has been inspiring you the most all these years? WG: My PhD advisor professor Joseph Wang. He is a great mentor, from whom I learnt how to be a good scientist. TT: If you have power creation, what will you create? WG: Time Machines. It is always my dream to travel in the universe. TT: If in one word, you have been asked to describe yourself, it would be? TT: If given a week’s holidays, how would you spend them? WG: Travel and Relax. I love to travel to the national parks and beautiful islands. Thant was indeed an awesome interview, I can’t thank you enough Wei Gao for your time. We look forward to visiting with you again and seeing much more of your work in the future. Wish you all the very best for all your future endeavors.